The University of Aberdeen-led research, published in Scientific Reports, expands on an unexpected finding by the same team two years ago that linked a poorly-understood gene with mental health disorders. The 2014 study looked at five major groups of patients and identified that a mutation of the gene ULK4 was found far more frequently in patients with schizophrenia. The same mutation was also found in some people with bipolar disorder, depression and autism. Before this Aberdeen work, ULK4 had previously been associated with hypertension but never before with mental health disorders. In this latest study in collaboration with Tongji University, Shanghai, the team used cutting-edge techniques to ’turn off’ ULK4 in selected subsets of stem cells in the mouse brain. They then observed that the offspring of these stem cells turned up in the wrong places, become ’lost’ and ’communicated less’ with neighbouring nerve cells. These problems were rectified fully when the ULK4 gene was ‘turned back on’. They conclude that ULK4 plays an essential role in normal brain development and when defective, the risk of neurodevelopmental disorders such as schizophrenia is increased. Schizophrenia is among the top 10 causes of human disability worldwide. The causes are highly variable with both genetic and environmental factors contributing to overall risk. Although the chances of inheriting the condition are estimated at between 60-80%, the genes responsible for causing the condition remain highly controversial. Identifying which genes are responsible for these diseases opens the way for the development of therapies to treat the symptoms of these conditions. First author of the paper, Dr Bing Lang from the University’s Institute of Medical Sciences, said: “Schizophrenia and other mental health disorders are multi-faceted and it is extremely complicated to identify which genes, in combination with other environmental factors, contribute to people developing the condition. “This latest study supports our highly novel findings that the ULK4 gene plays a role in normal brain development, and that a mutation in the gene contributes to the risk of several neurodevelopmental disorders. 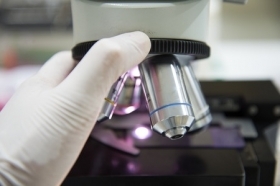 “We hope that by fully understanding the roles of ULK4 in schizophrenia, this will pave the way for the development of new drugs to treat this devastating condition." The research was funded by the Carnegie Trust, Tenovus Scotland, British Council China, Chinese Scholarship Council, National Natural Science Foundation of China, the University of Aberdeen and Tongji University.